Donation is highest total of any year from this fundraiser. Bowls are still for sale at the Windham High School Main Office. From Left: Kimberly Clark, Executive Director of Covenant Soup Kitchen; Abby Djan, Clay Teacher; Beverly Goslin, Jewelry Teacher; Mimi Fluharty, Culinary Teacher; Vanessa Sosa, Principal of Windham High School. 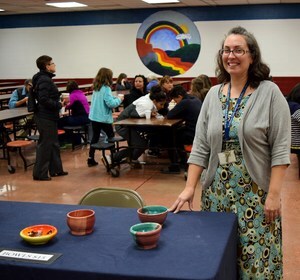 Windham High School hosted its 3rd Annual Empty Bowls Fundraiser November 11. 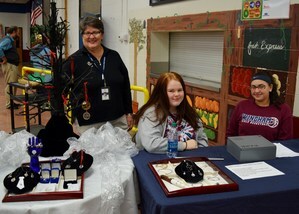 Bowls made by Abby Djan's Clay class and silver jewelry and ornaments made by Beverly Goslin's Jewelry class were for sale. 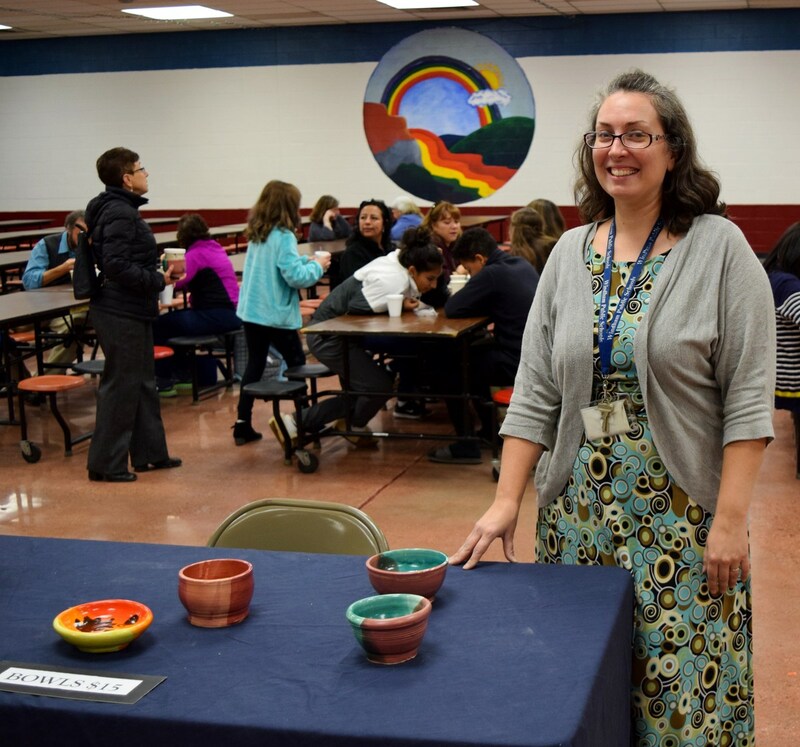 Visitors bought a bowl filled with soup prepared by students under the guidance of Culinary teacher Mimi Fluharty. All proceeds benefit the Covenant Soup Kitchen – a total of $1,045.